Sarah Hall is a leading coach, recommended by riders of all disciplines, and specialising in developing horses for both competitive sport and recreation. Sarah's ability to work with riders of all levels, from novice to Grand Prix, amateur or professional, and her instinctive empathy with both horses and riders has won her praise throughout Europe. Combining maturity and classical training with contemporary techniques, her plain speaking manner and supportive approach to her clients has helped her gain a reputation for success and fun: her philosophy is to enjoy every stage of the journey. As an exponent of the studies by Andrew Mclean in the science of equine behaviour, she has developed a unique approach to her work as a world class rider and coach. As a coach, Sarah is much in demand, providing lessons, training and clinics at riders' own facilities and she also is able to access facilities close to her own base at Borde Hill, including the superb facility at Chelwood Gate in East Sussex, with full size outdoor arenas, and indoor school available all year round. 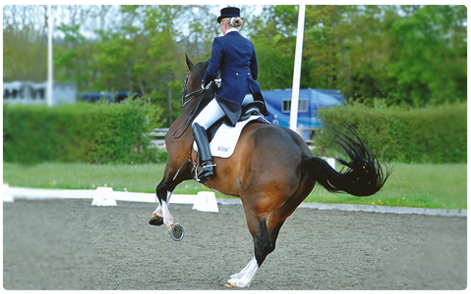 Sarah is qualified to UKCC level 2 and registered on the British Dressage Trainer's register. She maintains her CPD meticulously, together with First Aid and DBS. As a dressage rider, Sarah's notable early career saw her competing and training both horses and riders across the continent, gaining experience as a young achiever in the UK, Holland, Belgium, Germany and Switzerland. Now settled in the UK, Sarah competes at Prix St George on her own horse, Uferro II (Ferro x Ramiro Z) trained from a three year old by Sarah herself. Sarah is poised to begin the next stage of her career as an international competitor with Uferro II at Grand Prix. 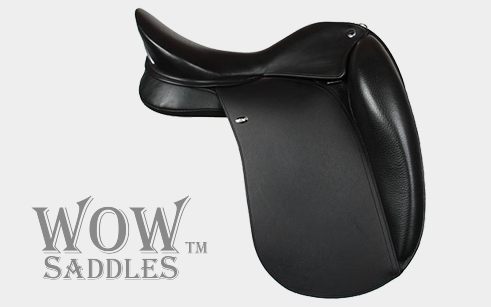 Every experienced rider knows the saddle is an intrinsic component of the essential communication between horse and rider. Sarah has been focused on saddlery since her early career. Her passion for the highest level of performance and comfort for her horses has led Sarah to a partnership with the cutting edge WOW brand of saddles.